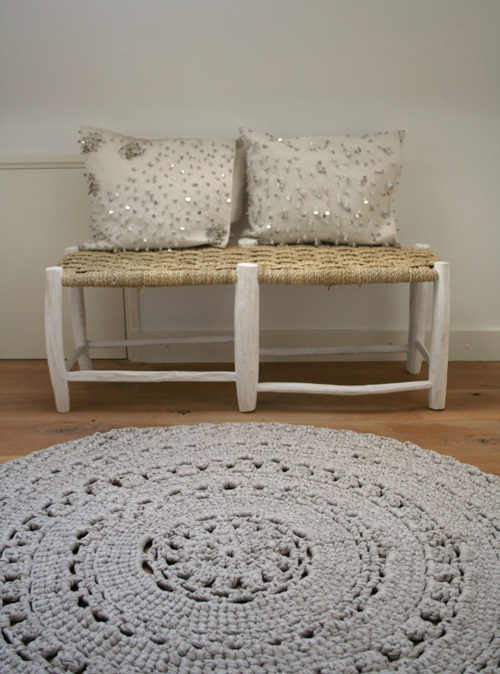 These beautiful crocheted rugs have just arrived and are now available from Le Souk. The rugs, which are hand made, are available in 2 sizes and various colors. 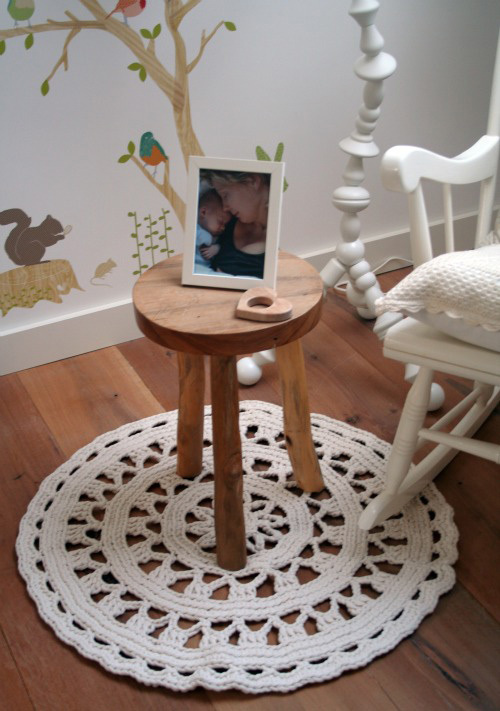 The rugs are perfect for living room, bedroom or kids room. I have the large rug in linnen color in our hallway (top image) and the small rug in off white in the nursery (2nd image). The perfect accessoire for the charming rural furniture! Been enjoying your blog posts, thanks for the inspiration. These rugs brought to mind the following project at The Purl Bee. Lovely Rugs!! So artesanal and cosy!! These rugs are beautiful and elegant!! !